More fantastic footage of early Bucyrus-Erie and Ruston-Bucyrus machines in action. 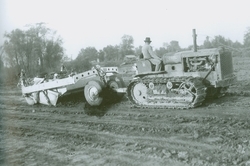 See B-E shovels, draglines, skimmers, backhoes, crawler tractor equipment, and dramatic close-up footage of the world's largest dipper dredge working in the 1920s. Narration by HCEA National Director Keith Haddock. 1.5 hrs.